Long-Shots Video Creations serves Lincoln, Nebraska and the surrounding area. We specialize in audio and video recordings as well as video slide shows, duplication and media transfer. Long-Shots Video takes pride in working closely with the customer to create a finished recording that will showcase their special event. We will assist you in developing a finished product you will be proud of. 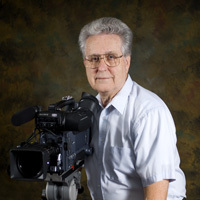 Ron Long has been working in the audio and video field for the last 12 years. Before that he worked in manufacturing as an electrical engineer for 32 years. This engineering background has enabled him to bring a unique creativity to all facets of audio and video production. Ron has always worked with photography and audio recording as a side line. When he left the corporate world this seemed a natural path to take. The photography soon evolved into video production. Ron’s motto is: You may think it’s a LongShot, but I will do my best.